Journalists moved 15 miles away after their office closed last week have urged their employer to open a new base on their patch. 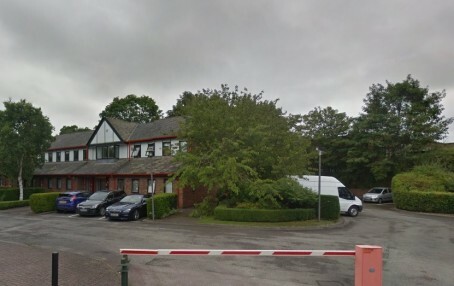 National Union of Journalists members at the Northwich Guardian have been relocated to Warrington as part of changes made by Newsquest, but are now asking for a “small base” to be retained in the Cheshire town. The Guardian has had a presence in Northwich for the past 157 years, and its Theatre Court office, pictured below, also housed its sister titles in Knutsford, Middlewich, Wilmslow and Winsford prior to its closure last week. Up to four photographic jobs were also placed under threat as part of the changes in the North-West of England, and the NUJ says a photographer at Blackburn and a content editor in Bolton have now been made redundant. She added: “The number of redundancies in the North-West might appear to be small, but these teams have already been cut to the bone and those left behind have been put under further pressure at work. “We are calling on Newsquest to reward those who are still working at the titles with a pay increase this year, to reflect the increased workloads and additional skills required to produce the local newspaper titles. In 2015, around 12 jobs were lost at the same group titles in a previous round of cutbacks. Four staff photographer roles, two feature writer roles and two digital editor roles were among those axed at the Warrington Guardian and its sister titles in Cheshire and Merseyside. HTFP has asked Guardian editor Hayley Smith for a comment.